"Understanding suffering always helps the energy of compassion to be born." In an instant my husband stripped away my identity as wife, stay-at-home mom, and best friend. With his suicide, our world changed forever. He'd been the center of our universe, but then he was gone. 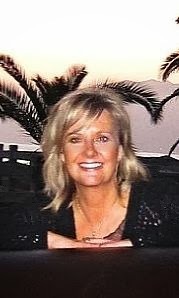 Grief is a dark journey, one often tainted with judgment and false perceptions. Add the word 'suicide' to the mix and more complications arise. 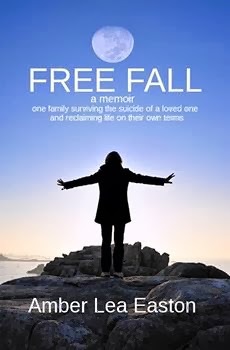 This memoir, Free Fall, is intended for those who may be facing their own tragedy and feeling alone, hopeless, confused, scared, and misunderstood. Free Fall is the journey of piecing our lives back together—overcoming children's anxiety as we traversed the brutal grief and trauma process, learning to say the words 'widow' and 'single mom' without cringing, surviving the fall out with friends and family who simply couldn't understand our healing process, triumphing over the stigma of 'suicide', forgiving my husband, and finding peace after chaos. Free Fall is for widows, widowers, parents, survivors of suicide, family members or friends of one who mourns. This story is for anyone who needs encouragement that there is another side to grief. There is. We're there now. We're looking back and holding our hands out to you saying, "hang in there, you're not alone, and you'll get here, too." Easton is also an editor and professional speaker. Links to radio interviews can be located on her website, http://amberleaeaston.com . "A remarkable woman, an inspiring book, outstandingly told and indispensable on the self-help / inspirational publishing market. Tragic, raw, without make-up but with a message of hope and encouragement for others. When I endured the suicide of my husband, I felt very alone. Scarred. People around me couldn't understand why I grieved because they thought I should automatically hate him because of the way he died. Some blamed me for his death. It was an isolating experience in a very emotion-filled time. I wrote this book because I want others to feel like they are understood, that they are not alone, that what they are feeling is okay. It was a painful experience to go back in time and open journals written with raw pain. I poured over each page, sometimes tracing tear stains with my fingers while reading words I remembered writing but now I read them from a different perspective. I felt compassion for the woman I was then. That's why I knew I was ready to write this. I wouldn't have been strong enough a few years ago. This ultimately a story of hope and inspiration. I made it to the other side of grief...that's what I want to convey. I write about the savagery of grief, but I also write about the triumph of hope and love. More romantic suspense novels! In fact, I just released a contemporary romance novella, Anonymity. It's pure fun. I think I needed to write something lighthearted and after writing something so serious.